ANOTHER OPTION FOR SUBSCRIBING AND RENEWING IS TO SEND US AN EMAIL AT THE ABOVE ADDRESS REQUESTING A PAYPAL INVOICE FOR A ONE- OR TWO-YEAR TERM. A PAYPAL INVOICE WILL BE SENT IN A SEPARATE EMAIL. THIS IS THE MOST CONVENIENT METHOD OF SUBSCRIBING OR RENEWING! 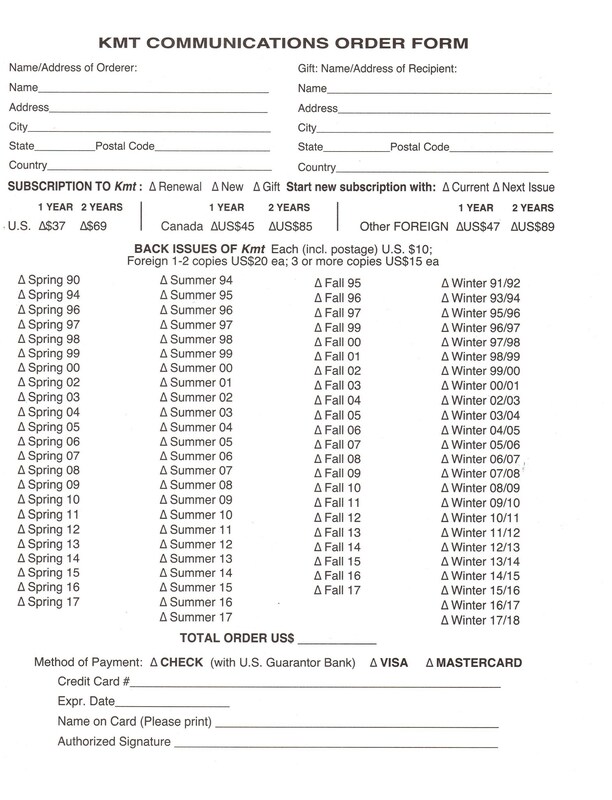 IF YOU ARE A NEW SUBSCRIBER, PLEASE PROVIDE A DELIVERY ADDRESS WITH YOUR REQUEST FOR A PAYPAL INVOICE.